Though B2B consumers continue to indicate a preference for inbound marketing over more traditional marketing methods, some B2B companies have been somewhat slower than others to adopt inbound methodologies. According to Hubspot's "2015 State of Inbound", that reluctance is gradually fading away as inbound has become the marketing approach of choice for 76 percent of B2B companies today. This ebook will explore why more and more B2B companies are joining the inbound marketing ranks, and how inbound methodologies have evolved to become more useful in B2B marketing strategies. Additionally, this book will examine how companies can harness the power of inbound marketing across multiple digital channels and reap demonstrable positive ROI for their inbound marketing campaigns. According to Social Media B2B, companies that have a blog generate 67 percent more leads per month than those who do not. 93 percent of B2B marketers use content marketing, according to Content Marketing Institute. According to Search Engine Journal, inbound leads cost 60 percent less than outbound ones. According to Content Marketing Institute, 80 percent of business decision-makers prefer to get company information in a series of articles, versus in an advertisement. According to Hubspot's "2015 State of Inbound" report, inbound marketing has a 76 percent likelihood of being the marketing approach of choice for B2B companies. These are just a few of the statistics that make B2B marketers sit up and take notice of inbound as a preferred marketing strategy. For most of history, marketing generally has taken a blunt force trauma approach to grabbing the attention of the consumer. B2B marketing has been no different. From billboards to slick SuperBowl ads, traditional marketing has held sway for a long time. However, more traditional methods of marketing have lost their luster in recent years. Consumers of all kinds have discovered that it is more fun to be in the driver's seat with regard to marketing, versus submitting themselves to disruptive advertising as passive recipients. "Inbound marketing first surfaced around 2003. Customers were ignoring email blasts, paying more attention to blogs, and ignoring traditional outbound advertising measures. A new solution emerged from the data: personalized approaches that used consumer permission to drive engagement. 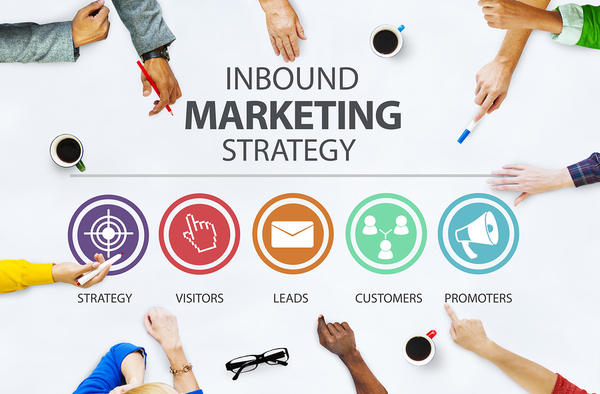 Inbound remained largely an abstract idea, however, until HubSpot came on the scene in 2006. The company gave this fresh idea a name and created an infrastructure around it. This single event contributed to a landslide of changes in the ways people interacted with companies online. Social media emerged as one of the most powerful ways to connect consumers with businesses. Google changed its algorithm with the infamous Panda, devaluing millions of web pages that were deemed less-than-useful and changing the ideals surrounding custom content. Mobile technology came to the forefront and e-commerce began to gain on its offline-shopping counterpart." An increasingly digital-savvy and personalization-craving wave of B2B customers want to receive relevant information how and when it is convenient for them. Inbound marketing, then, is about subtly attracting leads to your products and services by providing consistently-relevant, high-quality information that educates and attracts your audience, using all appropriate digital platforms to do so. B2B marketers are busy with inbound methodologies, using such strategies as blogging, social media, free content downloads (e.g., ebooks and whitepapers), high-quality videos, and serial podcasts to get their brand message into the minds of their audience and keep it there. As for the future of inbound marketing, Inbound 281 predicts that inbound will continue to evolve in lock step with evolving consumer interaction via advancing technology. As more data and smarter marketing analytics inform inbound strategy in the future, it is a safe bet that inbound marketing is the best way for businesses to survive and thrive online. Though inbound is widely valued as the way to most effectively market your products and services today and is projected to gain even more ground in the future, some B2B marketers struggle with getting all the moving parts of inbound marketing to work together. Build a conversion experience with strong inbound marketing skills. According to MarketingProf's "B2B Inbound Marketing: Top Tactics, Goals, and Challenges", only 27 percent of B2B leaders say their inbound efforts are very successful in helping to achieve important objectives, while 66 percent feel they are somewhat successful. A full 46 percent of B2B marketers feel that this is due to lack of an effective strategy. Considering the multi-faceted nature of inbound marketing campaigns, it is wise to take a step back and consider how to build a converting experience from the ground floor, so to speak. Hubspot distills the process into four main components. For every campaign, every piece of content, every marketing move your business makes, you are aiming to: attract, convert, close, and delight your audience. Engage your prospects with content that inspires an emotional response. Educate your audience with accurate, actionable information. Enrich your customers' lives by providing a steady stream of valuable content over the entire customer lifecycle. How can you accomplish all that? As with any type of marketing strategy, the first step is to define your goals and objectives. What are you hoping to achieve with your campaigns? The more detail you can provide for that answer, the better your chance of success with inbound campaigns. The next step is to give some careful consideration to your target audience. Your marketing metrics should help you narrow your focus to your core audience. Creating a mental (and maybe even physical) image of your ideal customer will help you craft one or more buyer personas. You can learn all about buyer personas and how to use them effectively in the Inbound 281 article "Buyer Personas: What Are They and Why Does Your Business Need Them?". A Responsive, Growth-Driven Website Design: A foundational tool of your marketing strategy is your website. After all, your website is often the first place of interaction with your leads. For today's buyer journey, a responsive website (one that looks as great on a mobile device as it does on a desktop) is non-negotiable. Growth-driven design allows you to tweak your website at regular intervals in response to customer behaviors. This means that a website using growth-driven design provides a consistently more person-centric user experience, which in turn leads to more conversions. "For any brand to be successful, it needs to find an established voice. Content marketing is a great way to help your brand distinguish its voice in a highly competitive market, especially with on-site content like a blog. Keep in mind that both visitors and search engines expect content that adds value, so if you deliver, you can expect returning visitors to increase and search engines to index your pages higher -- both huge in terms of driving your bottom line." "When trying to attract strangers, it is important to be on the platforms where they are spending their time. So invest time into understanding what platforms your leads are using to connect with friends, family and work colleagues, then make sure you are present on these networks ... Make sure that when you are engaging on social networks, you are posting a variety of different content. Use pictures, videos, blog posts, infographics, slideshares, articles, and links to websites to interact with followers. This variety of content will do a great job of keeping your audience engaged, as they will never know what is coming next." If you are unsure about where to start with social media marketing, Inbound 281's "Which Social Media Outlets Should I Use for My Marketing?!" discusses four major social media platforms and how they can be used for inbound marketing purposes. Pare down and simplify your information and CTA. Go the opposite route and provide more information if your message and audience warrants it. In addition to these foundational pieces in your inbound marketing arsenal, there are some other tools that can help you get a handle on inbound. For instance, Hubspot's solution helps you plan campaigns, measure the results, and streamline your processes. Likewise, Google Analytics gives you accurate, up-to-date information about how your campaigns are working so that you can make adjustments and refinements as needed, and Hootsuite helps you consolidate your social media management more effectively. The list of tools, tactics, and strategies to help you get the most from the content and design of your website, landing pages, and social media marketing goes on. Knowing what to use and when to use it can be confusing at first, so working with an agency that specializes in inbound marketing is a smart start. 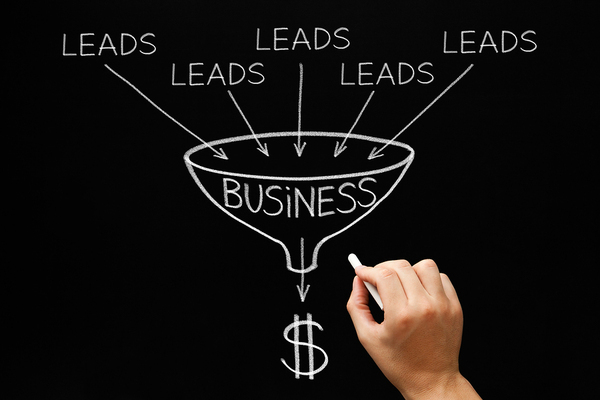 As you begin to see more leads generated with inbound marketing methods, it becomes increasingly important that you develop lead nurturing strategies to move your leads easily through the sales funnel toward conversion. 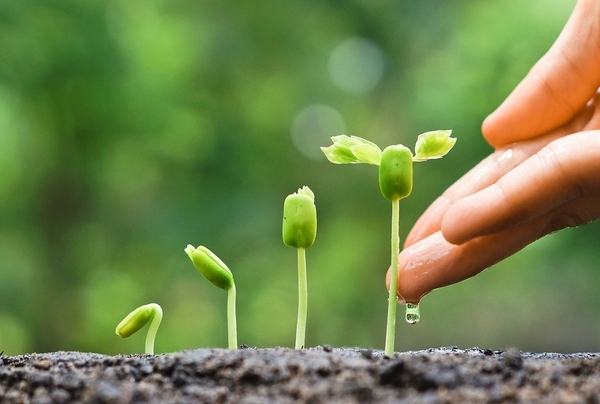 Lead nurturing is a progressive process. It involves providing relevant content at each stage of the customer journey. For instance, in the beginning stages of the customer journey, lead nurturing involves heightening customer awareness by providing product overviews, presenting potential solutions to customer pain points, and directing new leads toward the consideration phase. Appropriately nurture leads at each stage of the customer journey through effective inbound marketing. During the consideration phase, product comparisons, how-to-videos, and similar content can help leads narrow down their field of choices and separate you from the competition. At each stage of the customer journey, lead nurturing becomes more and more targeted. The goal of lead nurturing is not to re-invent the wheel with each customer interaction, but to build a relationship through the conversion process and beyond. A strong inbound marketing strategy involves aligning the objectives and workflows of marketing and sales in a more customer-centric model. Companies with a clearly-defined service level agreement between marketing and sales are often more productive than their misaligned counterparts. "Marketing and sales should be organized around the steps that the customer goes through to become exposed to, build knowledge about, form purchase intentions for, and ultimately purchase the company's products and/or services. These steps will vary for each company depending on the nature of the product/service, competition, and the industry. Outline these steps and then assign marketing and sales responsibilities at each stage. This way both functions work together to meet the customer needs during each stage and support the customer's progress to the next." Because each part of an inbound marketing campaign is measurable, defining the typical steps in the buyer journey is possible. Armed with this information, you can assign marketing and sales responsibilities based on the specific behaviors of your customers at every interval, ensuring that leads handed off to sales are qualified through proper lead scoring. In turn, sales metrics can inform future marketing campaigns, thus creating a united focus on customer-centric marketing between the two departments. Some of the tasks generally associated with marketing automation include: contact management, lead scoring, A/B testing, email marketing and performance measurement and reporting. Typically speaking, automating some or all of these tasks improves the ROI for your inbound efforts. Most B2B marketers find that their great marketing campaigns involve integrating both inbound methodologies and more traditional marketing strategies. Integrated marketing delivers a consistent, seamless, multi-dimensional brand experience. Consistent, targeted content across all channels heightens your brand messaging and drives conversions. Integrated marketing has more impact than either traditional or inbound methods alone. The goal of mass media integration is to deliver your brand message consistently via any marketing platform used, whether it is your website, social media messaging, television spots, or printed media. Delivering this immersive experience to your customers strengthens your brand message and drives conversions. Leads Gained: Measuring inbound marketing success begins with finding out how many leads are generated by different campaigns. One key metric here is click through rates. The CTR is the measure of how many people in your audience clicked on your links in proportion to the number of total recipients of that campaign. This helps you see which channel and which campaigns are generating the most interest with your target audience. Lead Conversion Rate: This metric tells you how many of your leads are following through after clicking on your links and actually performing the set of actions you want them to. Your conversion rate is your total conversions divided by your total leads. Keeping an eye on the right metrics will help you achieve the best results from your inbound campaigns. Customers Gained: Of course, you want your audience to do more than simply click on your links and fill out a form. Another KPI that must be measured is how many of the leads in your sales funnel actually become customers. Revenue Gained: This is the marketing metric that is most important to your CFO. The success of your campaigns must be measured in terms of actual revenue generated. Cost of Leads Generated: Your cost per lead is the amount you spend to gain new prospects. Cost per lead is measured by dividing the total cost of generating leads by the total leads you acquire. Response Time: Also known as time to customer conversion, this metric lets you know how quickly your campaigns are doing their magic. In other words, it allows you to see how fast a particular consumer segment will respond and take action towards conversion for a particular lead generation campaign. 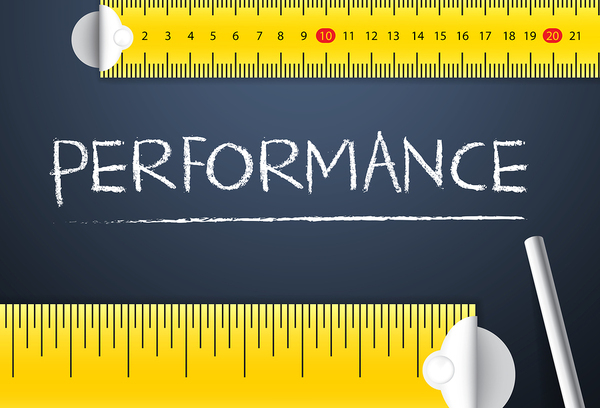 This metric helps you to identify high-performing campaigns and make adjustments where needed. As this guide has illustrated, inbound marketing is a multi-layered marketing approach. Marketing across multiple digital channels, coordinating those digital efforts with mass media integration, and using marketing automation to facilitate the process can be a difficult paradigm shift for B2B marketers who are comfortable with more traditional marketing approaches. Working with a digital marketing agency with a deep understanding of the many moving parts of inbound marketing campaigns will help you get your campaigns off to a great start. At Inbound 281, we specialize in inbound marketing, providing expertise in all areas of inbound with a focus on designing campaigns that drive conversions and reap positive ROI for your company. We invite you to take advantage of our FREE inbound marketing assessment offer to begin the process of improving your campaigns with our experts in the field of inbound marketing today.